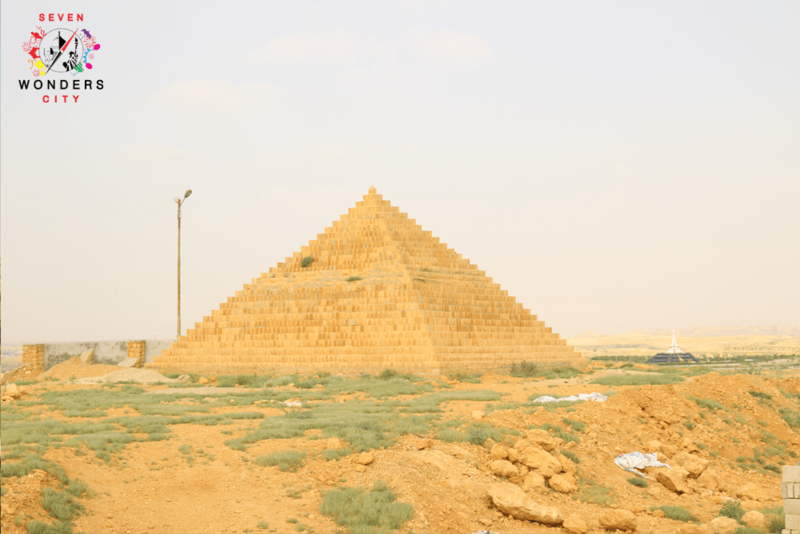 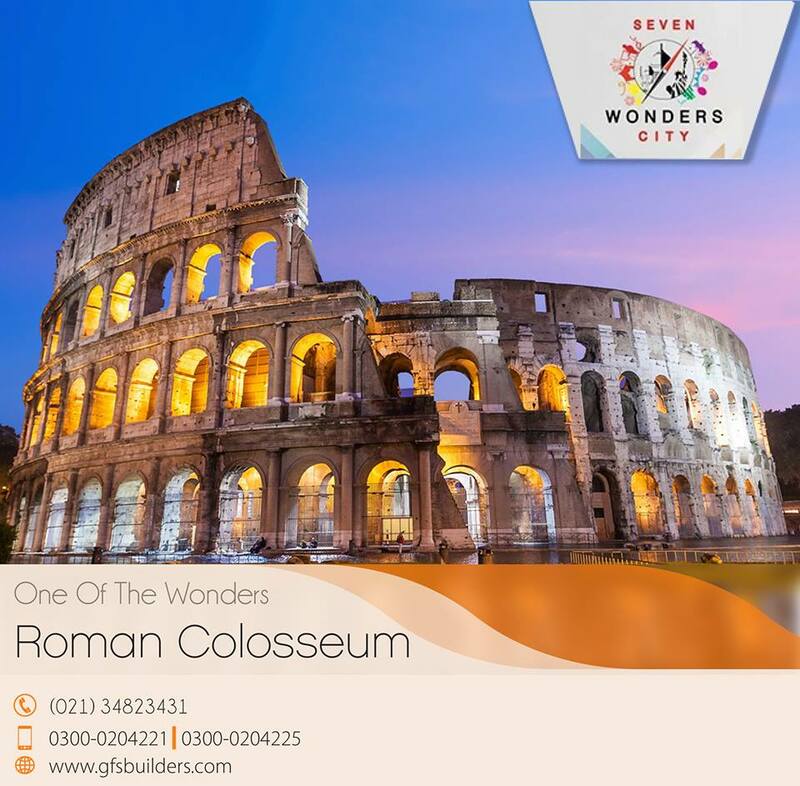 If we compare the quality of development of Seven Wonders City against contemporary development standards, we might not find it up to the mark. 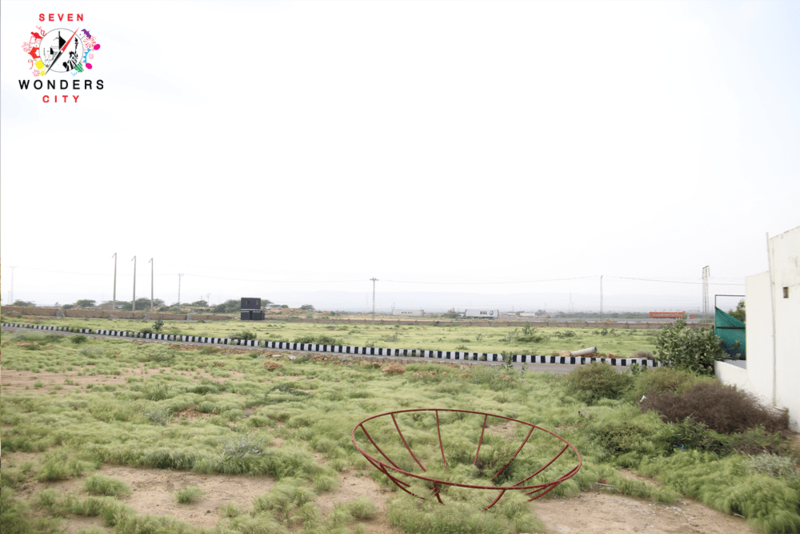 Nonetheless, GFS team has tried their level best to materialize their plan and the pace of development is also remarkable. 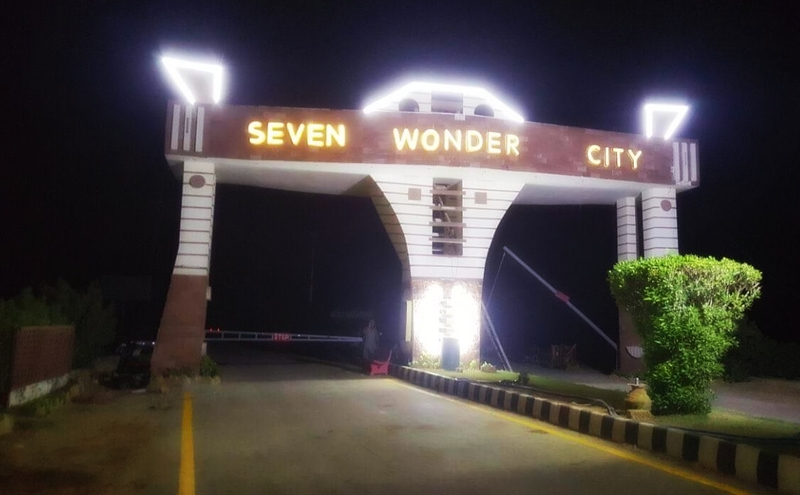 Seven Wonders City is not a mega housing project, but in fact, it is a small housing scheme which lies close to mega housing developments like Bahria Town and DHA. 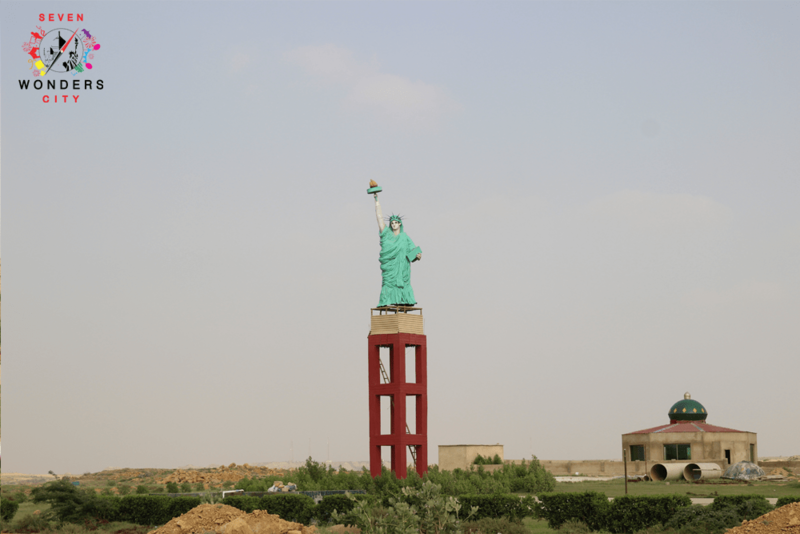 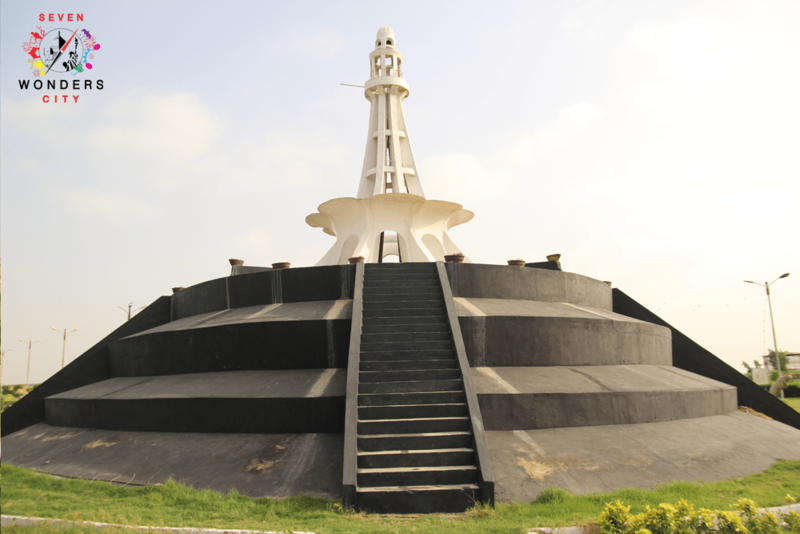 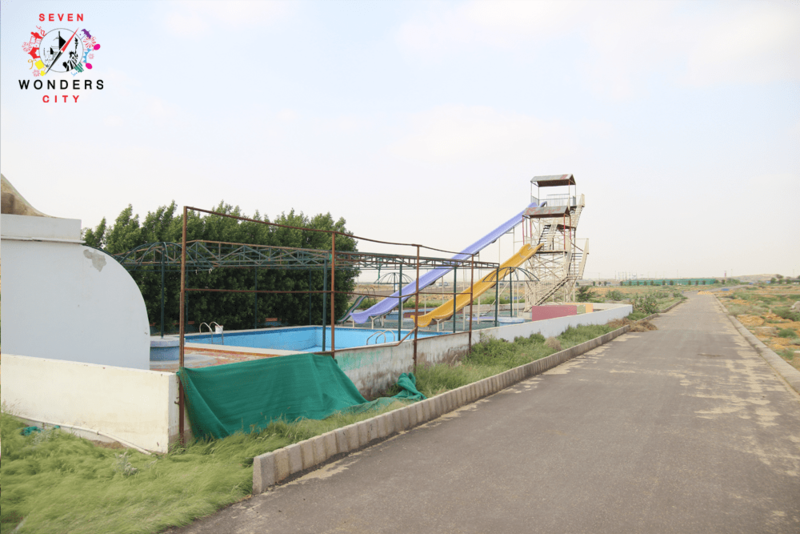 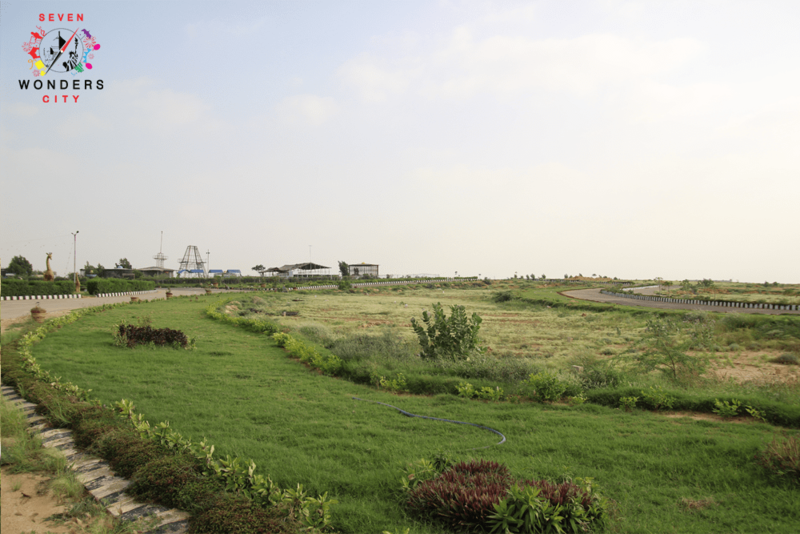 It lies at about 8 KM from DHA City, 22 KM from Bahria Town Karachi and 32 KM from Toll Plaza. 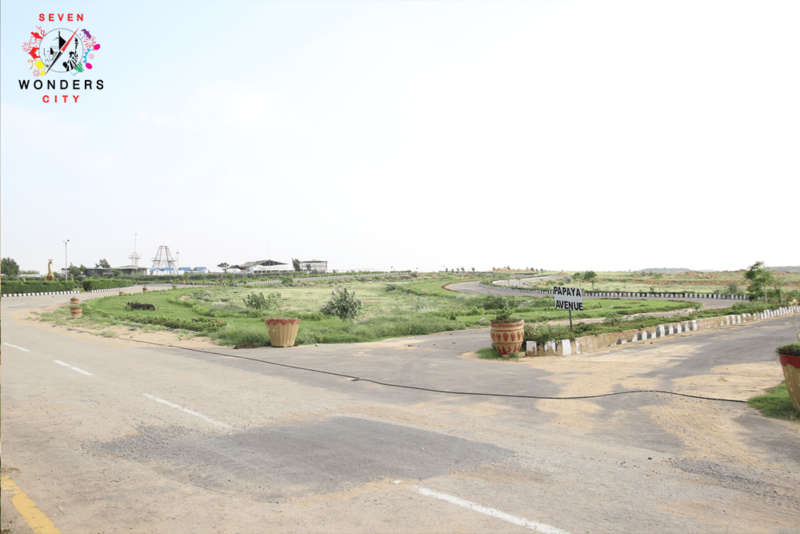 If we look at the Google Maps, we find that internal roads and streets have been built and the society is currently in its final stage of developments. 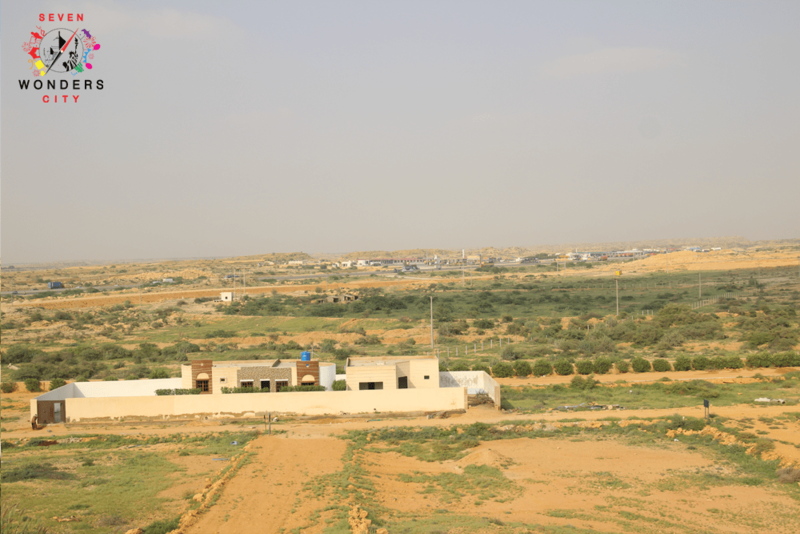 We will share a couple of development pictures also on this page, so that you will come to know the current development status of this housing scheme. 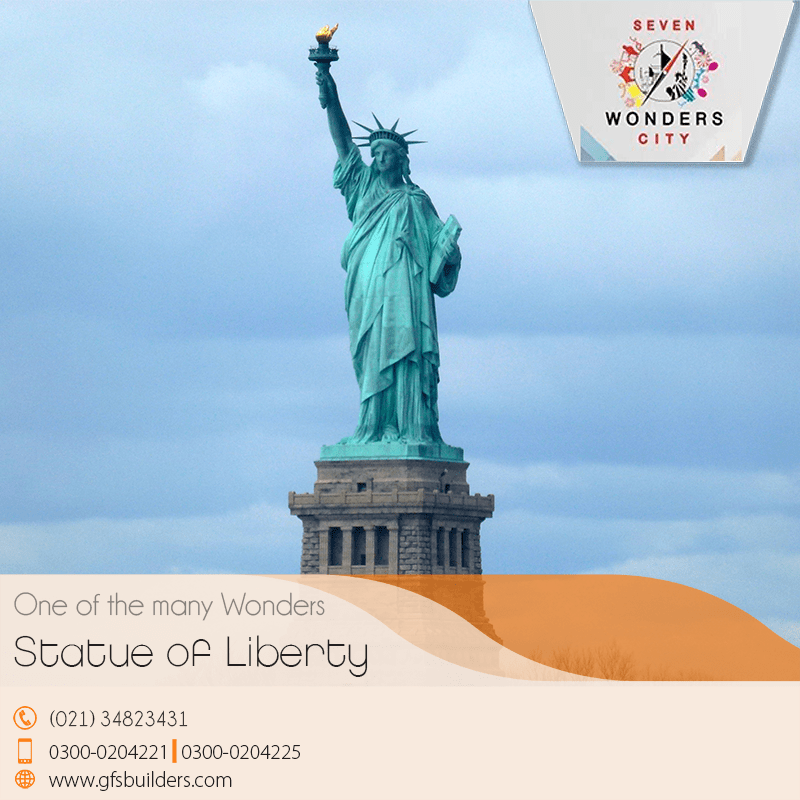 Seven Wonders City offers standard amenities and facilities to its future residents. 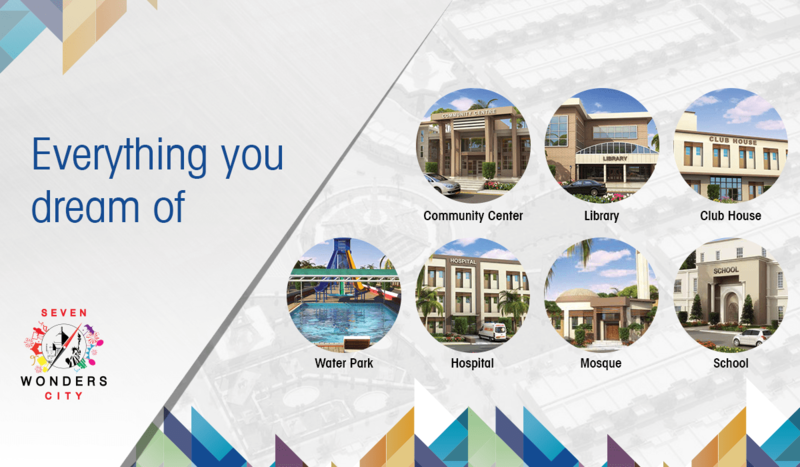 Apart from provision of electricity, gas, water and telephone connections, the society has reserved ample spaces for exclusive amenities like parks, schools, masjids, dedicated commercial areas, water park, community center, club house, library and hospital. 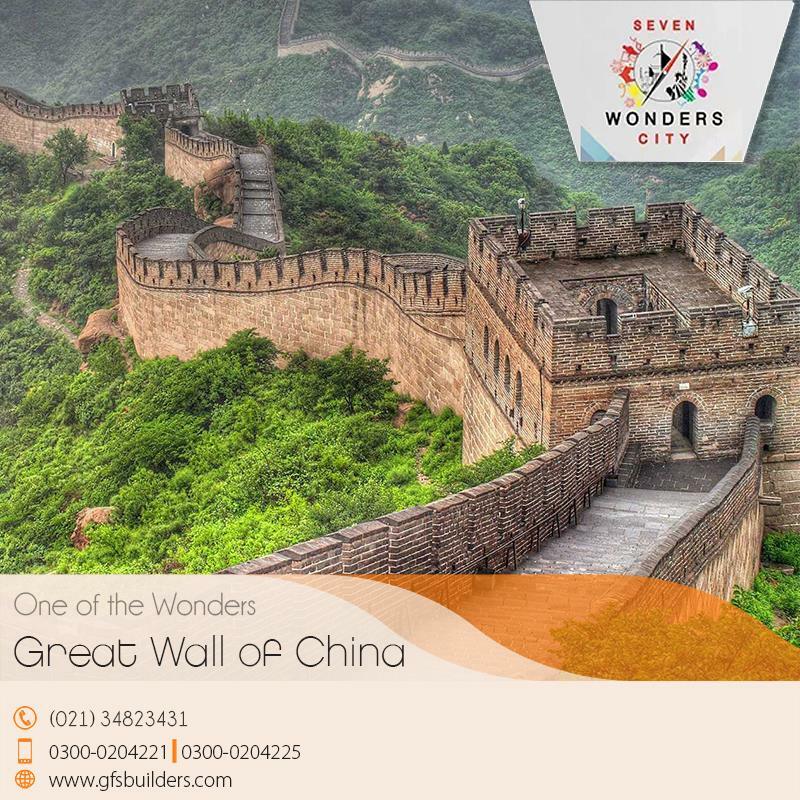 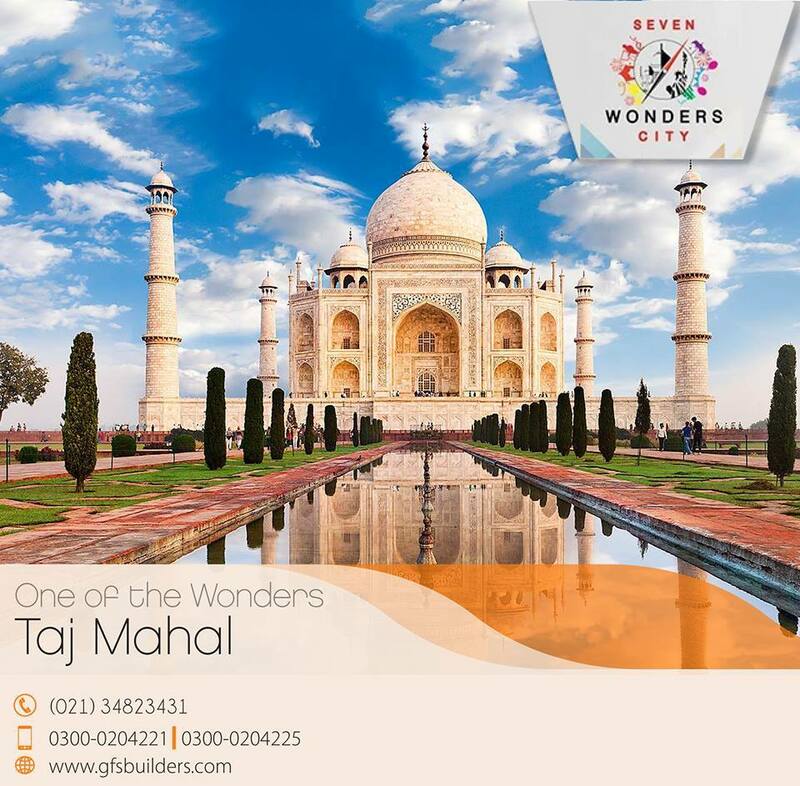 As the main theme of the project is based on seven wonders of the world, the society has erected miniatures of different wonders such as Giza Pyramids, Taj Mahal, Eiffel Tower, Statue of Liberty and Great Wall of China. 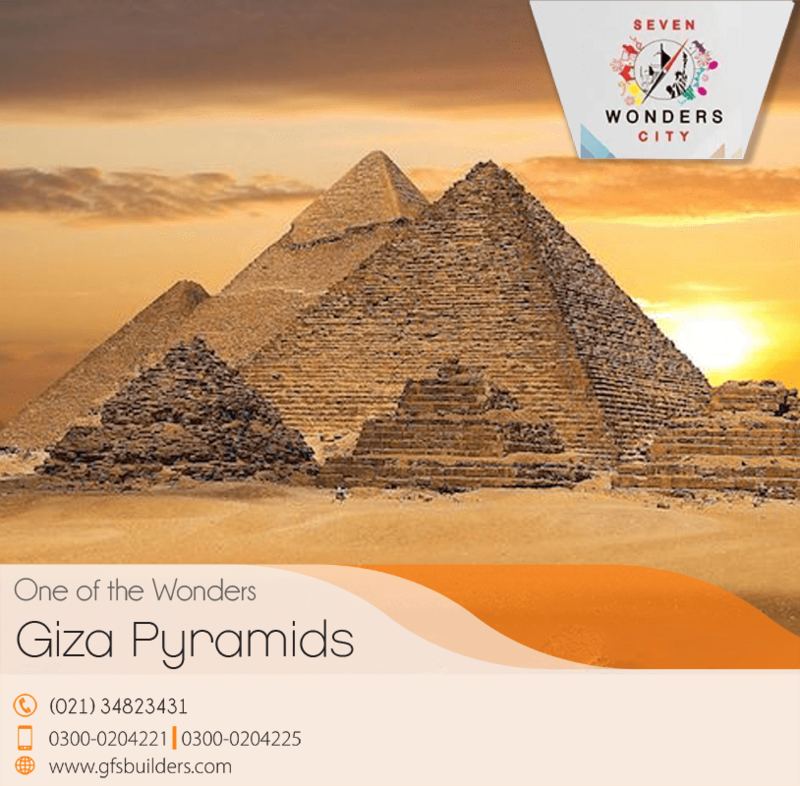 The society has erected few of the miniatures already, and you can see them when visiting Seven Wonders City. 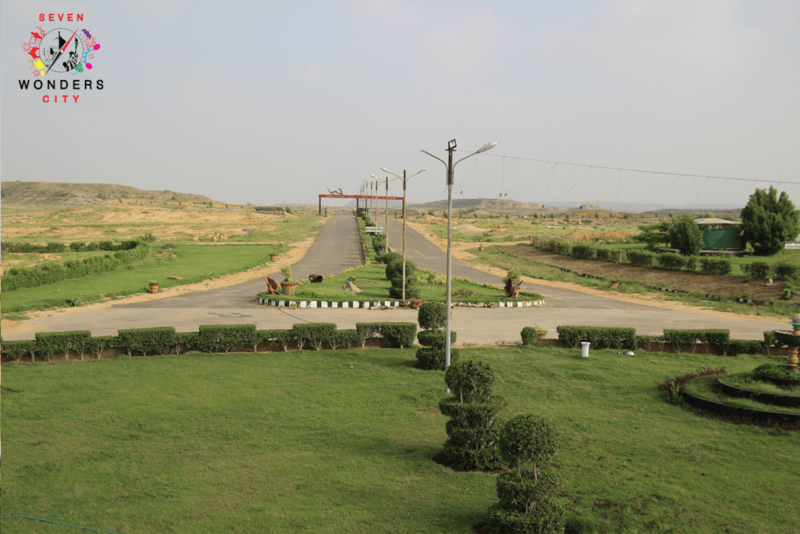 The main gate of the society on Super Highway has also been constructed, and internal roads have been carpeted. 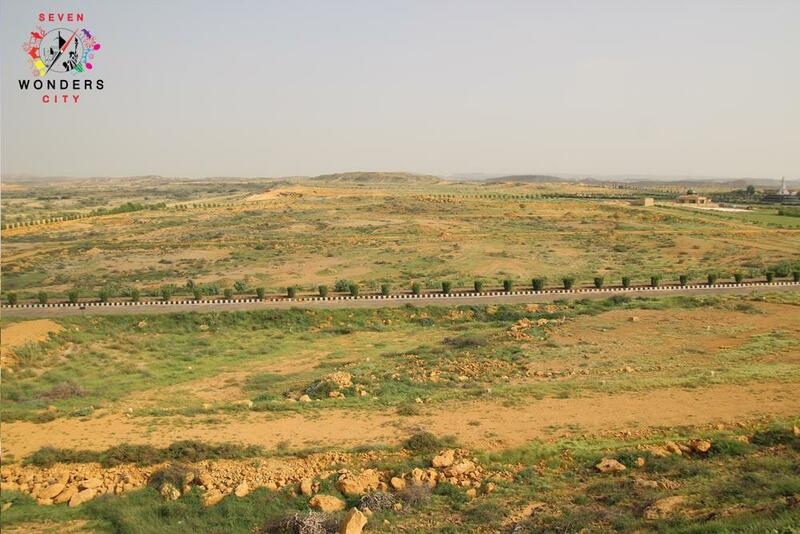 Maximum road size is 100 feet, while street sizes are 20 feet, 30 feet and 40 feet. 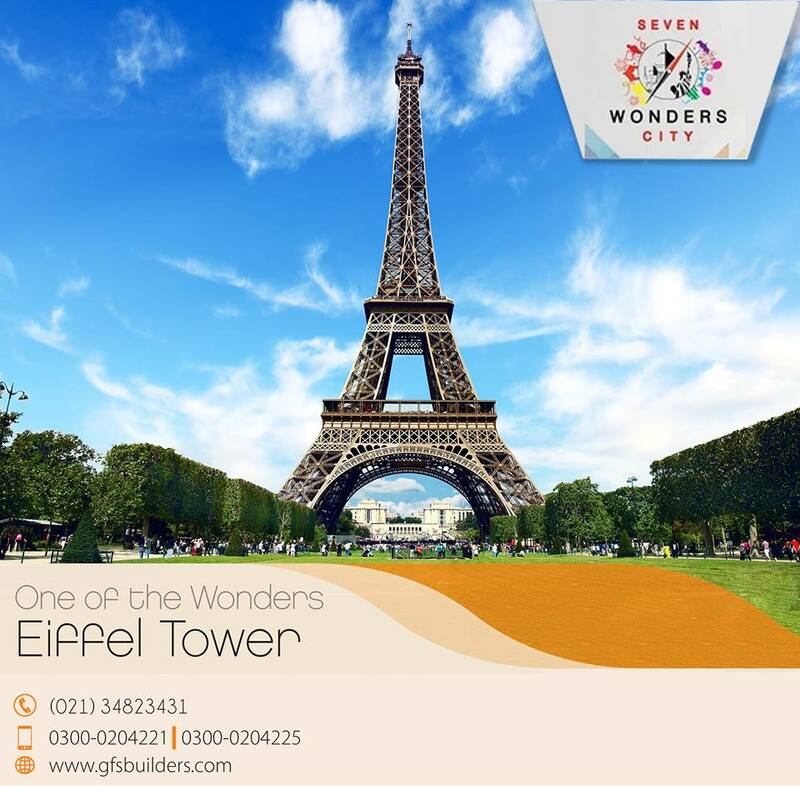 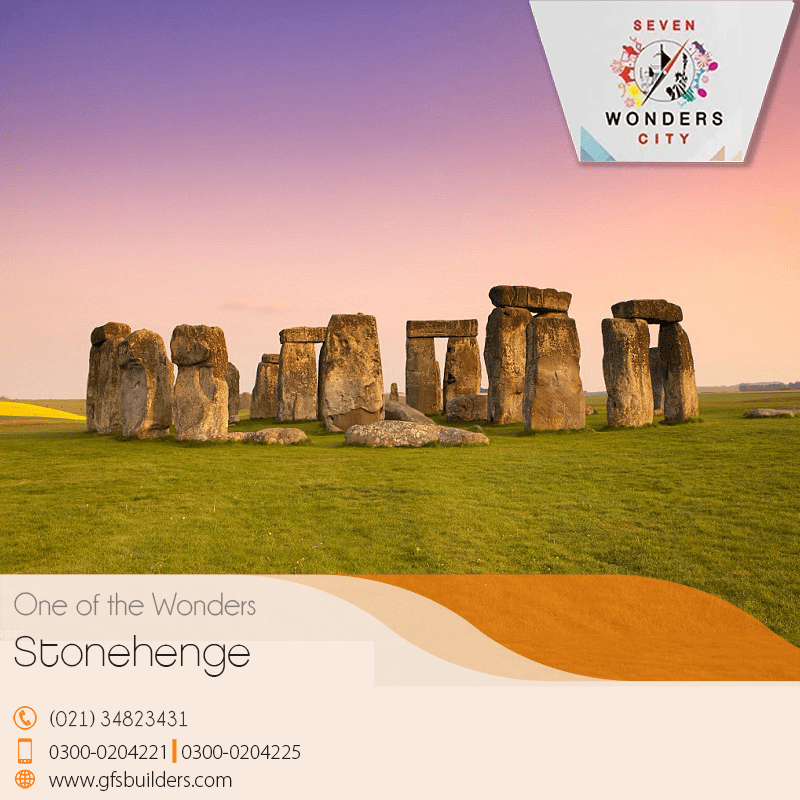 Seven Wonders City Karachi offers different sizes of residential and commercial plots. 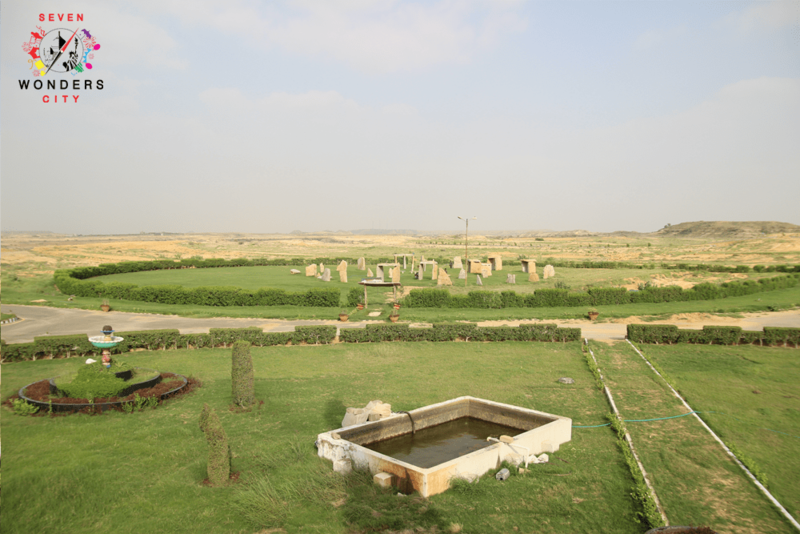 Residential plot sizes include 80 SQY, 120 SQY, 300 SQY and 500 SQY. 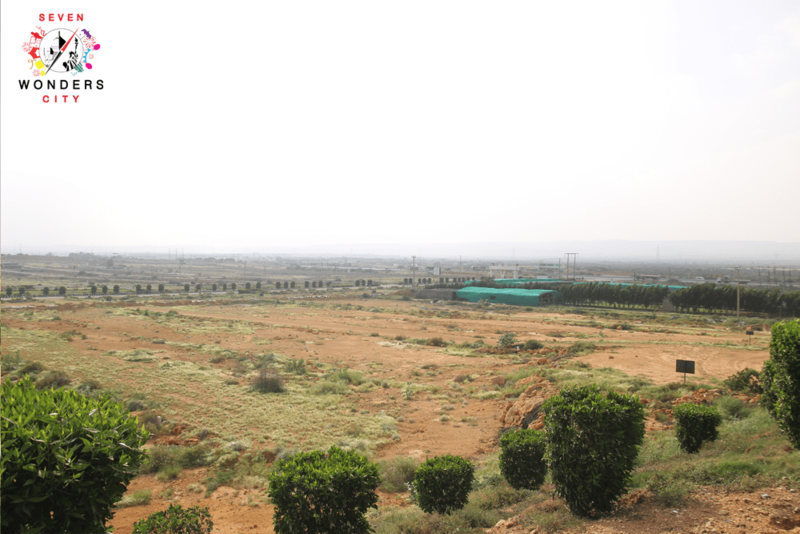 Commercial plot sizes include 5000 SQY(reserved), 100 SQY and 200 SQY. 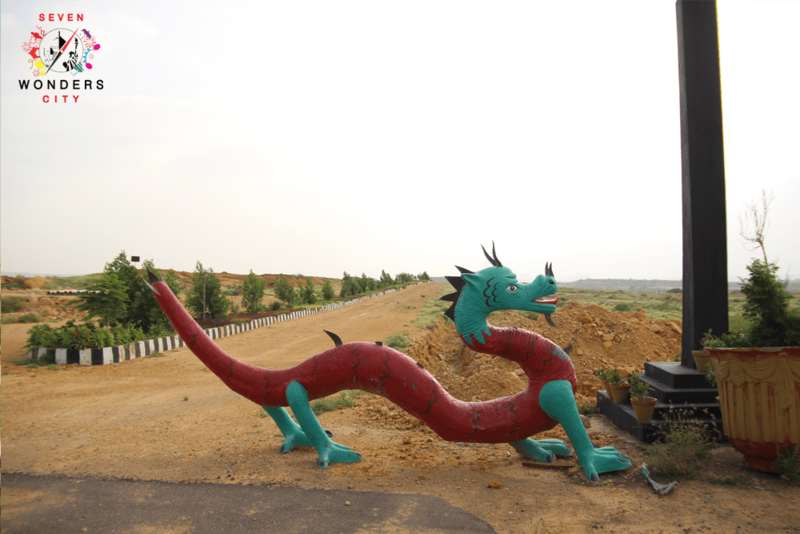 Bigger commercial plots are facing the Super Highway, and are reserved for high-rise commercial projects. 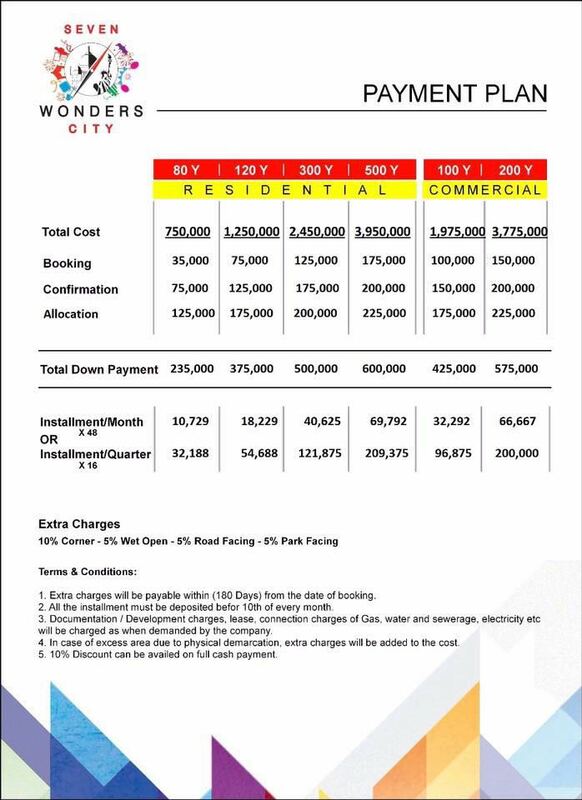 Actual payment plan comprise about 30% down payment, while remaining amount is payable in 48 equal monthly or 16 equal quarterly installments. 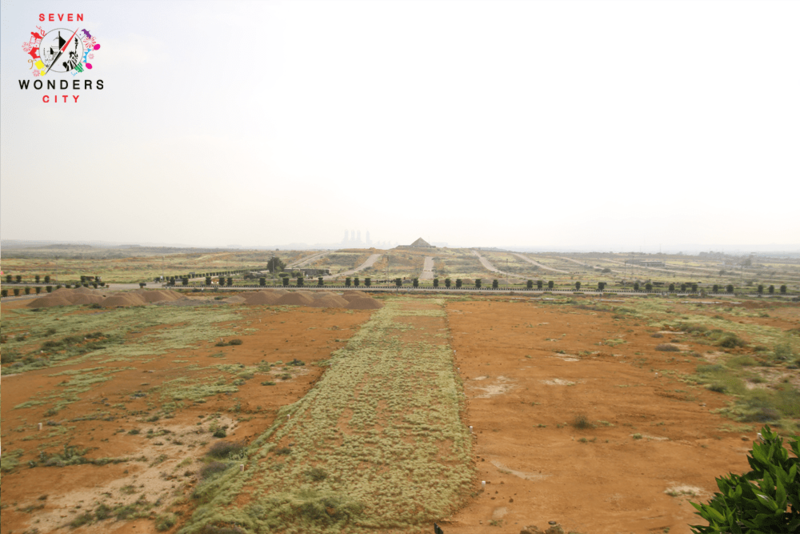 10% extra charges apply for corner plots, while 5% extra charges apply for road facing, west open and park facing plots. 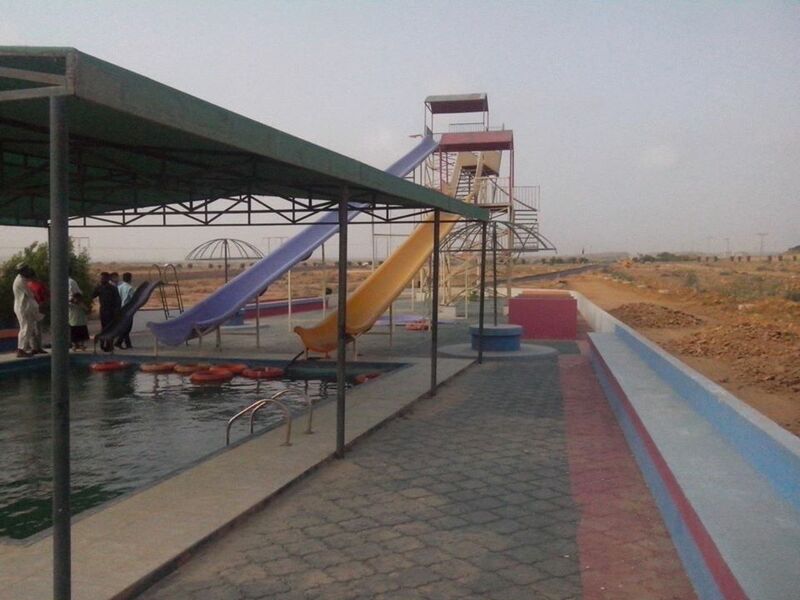 10% discount is given on full cash payment at the time of booking. 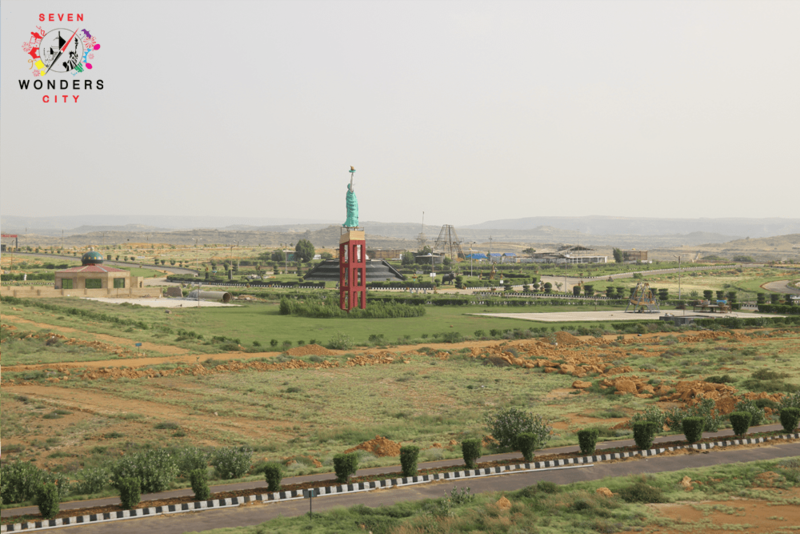 The society has released its master plan, so you can see the location of plots on the map and see the location of amenities, street sizes, road sizes and the whole layout of the society. 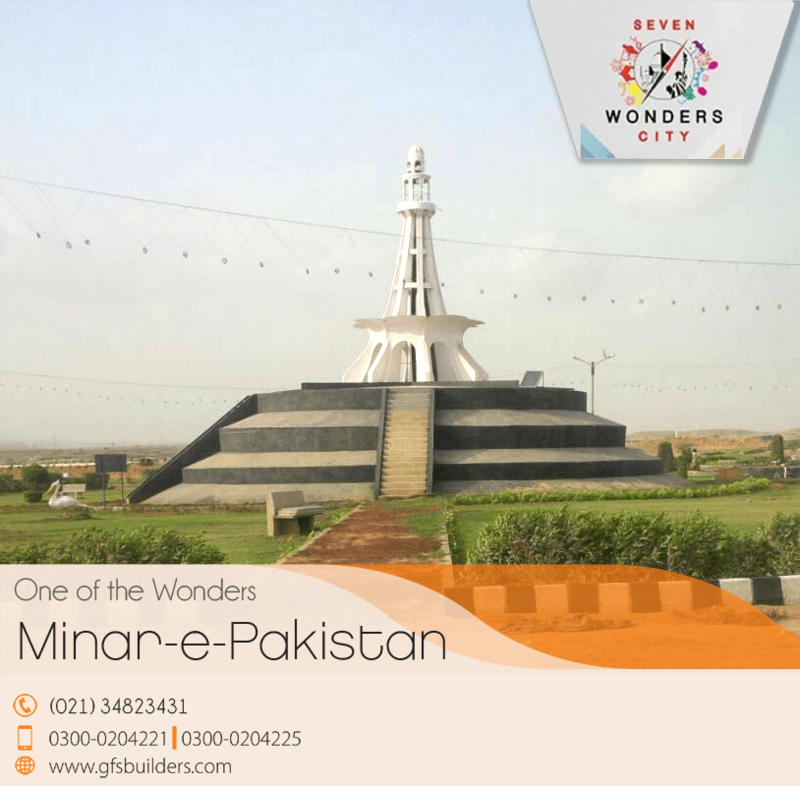 Development work at Seven Wonders City Karachi is near completion, and possessions are coming soon. 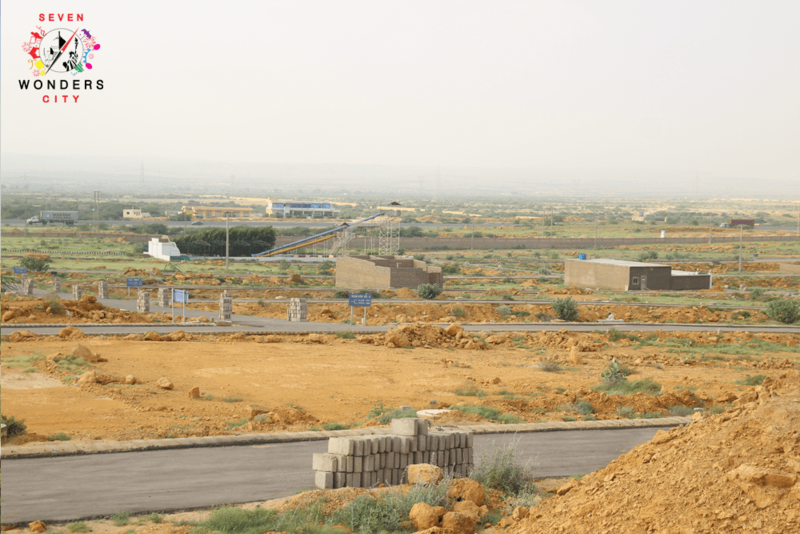 Despite the fact that it doesn’t match with the development standards of DHA City or Bahria Town, it is still a good housing option in that neighborhood due to speedy development and comparatively lower prices.